I have a logo with various gradients. If I copy the logo to a new document a different gradient is assigned to the object. See screen print. The original gradient is 4517. In the copy it is 3973. Please be more precise as to what the bug is: Is the gradient the wrong one? They seem to be exactly the same in your screenshot. The gradient is different. See attached close up screen shot. The wrong gradient has more white. The same happens also with another white gradient somewhere else in the logo. Also not all gradients get new numbers. E.g. the gradient 4531 which is shown in the screenshot. Another observation: The original file has 16 gradients. After document clean up this is reduced to 9. If I then copy everyting to a new document there are only 7 gradients. The missing two gradients are being replaced by two other gradients that are already in the file. 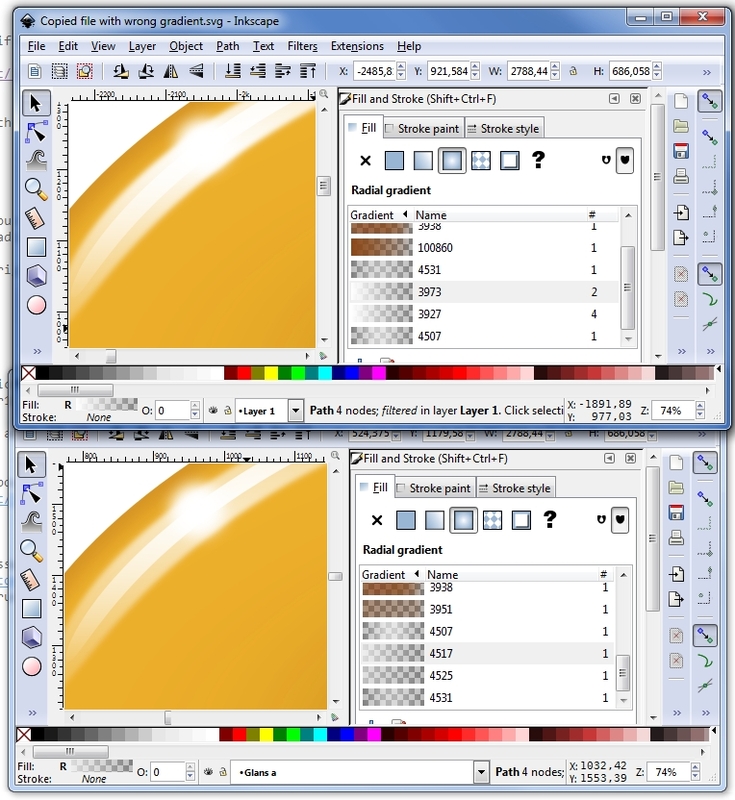 Both of them are also white gradients although different, what makes the difference less distinct. Furhtermore: the gradients keep their original number.